But I kept coming back to The Enterprise of Death, because I just had to find out what happened to the characters, in particular the heroine, Awa. 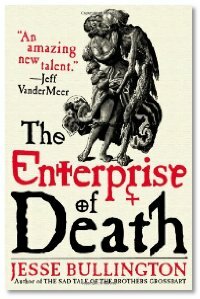 Set during the Spanish Inquisition, The Enterprise of Death is the story of Awa. Awa is an African slave who is captured by a necromancer while accompanying her mistress to Spain. She and her mistress are forced to become the necromancer's apprentices. Awa's horrific training as a necromancer and her desperate search across the Europe of the 1500's to find a way to escape his plans for her, form the plot of the novel. There were a number of things I really liked about the story. One is Mr. Bullington's "bawdy and rollicking" depiction of the time period. The secondary characters are fully realized and fascinating and include a mixture of historical and imagined characters. Although perhaps the lesbian giantess mercenary gunner is based on a real person -- if so, we all need to know a lot more about her. Also, for a horror fantasy novel there is a light touch with the magical elements. Often, when Awa is conversing with the dead, the reader is unsure if it is actually the dead speaking or Awa. We are undecided if Awa is using "necromancy" to access information she already knows. And Awa herself seems unsure on occasion. If you are a horror fan, then you'll enjoy this book. And as I proved -– even if you aren’t a horror fan you'll find it a worthwhile read. 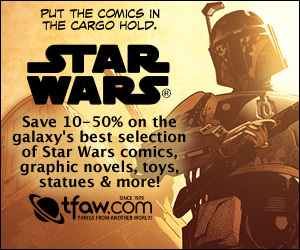 Link to Jesse Bullington discussing the "Big Idea" on John Scalzi's blog.